For those of us who depend on our voices for a living, it’s obvious why vocal health matters. Without a reliable "instrument,” we simply can’t perform. But let’s face it – most of us take our miraculous instruments for granted. Yes, we take precautions to avoid getting knocked out by colds. Most of us also have a few home remedies on hand for occasional sore throats, congestion, and other uncomfortable symptoms. 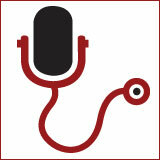 But we usually don’t pay much attention to our vocal health – until something goes wrong. Recently, I discovered how little I actually knew about my own vocal health when I found myself making multiple trips to the otolaryngologist’s (throat doctor’s) office. My aging father needed medical care for not one, but two, lumps on his throat. They turned out to be benign (thank goodness! ), but the upshot of weeks of doctors’ visits, and all of those diagnostic tests, was that I got a crash course in how to keep my own voice healthy, and warning signs to watch out for. What are the basics of vocal health? Divide your body weight (in pounds) by two. The amount of water you should consume each day is that number of ounces. Example: If you weigh 128 pounds, half of that is 64 pounds. 64 ounces is two quarts (half a gallon). If you’re speaking a lot, drink warm, non-caffeinated liquids. Vocal cords are delicate tissue. When they bang together repeatedly, nodes and nodules can form at the contact points (thickening those spots, sort of like calluses). While it’s possible to have these growths corrected surgically, an ounce of prevention saves a pound of cure. Do not talk above ambient noise levels for extended periods of time. Use non-verbal cues to get other people’s attention in noisy environments (tap on a glass, wave your arm, etc.). Use amplification when and where necessary. If possible, address acoustic issues in your work environment. For example: Did you know that teachers in noisy classrooms with poor acoustics are three times as likely to have voice problems as workers in other professions? Optimize the layout of the areas where you live and work to support voice use (eliminate barriers). This is advised before you use your voice for long periods of time. Most people automatically hum "Happy Birthday” at their natural mid-range tone. Start your exercises in a comfortable range. From your mid-range, glide up three notes and down three notes several times. Limit alcohol intake. It can dehydrate you. If you are sensitive to spicy, acidic and dairy foods, avoid them. Address acid reflux issues, if they’re a problem for you. Don’t eat or drink within three hours of going to bed. Sleep with your head elevated above the level of your stomach. Learn to breathe from your diaphragm (belly), not the top of your lungs. Do breathing exercises to increase your stamina and breath control. Your body needs time to repair. Give it the rest it needs. Most of this is common sense and supports your health in other ways, as well. voice training advice you’ll want to avoid to stay in good shape. 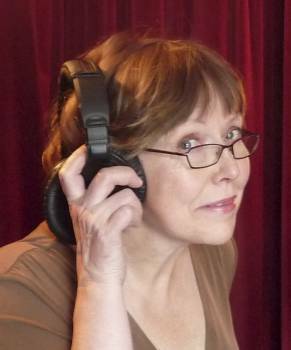 And to learn more about vocal care from an expert who is also a voice coach and accomplished voice professional, check out the recording of Bettye Zoller’s recent VoiceOverXtra webinar, Your Vocal Health. Author Elizabeth Holmes is a voice actor, writer and audiobook narrator based in Healdsburg, CA. 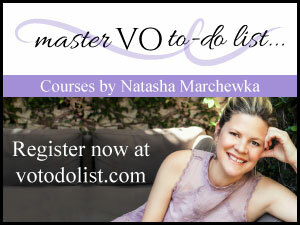 She is also editor of VoiceOverXtra's eBook division. Thanks for the mention here Elizabeth. Enjoyed your interview with me very much. Good article.